Roadway Substructure Evaluation in Idaho Transportation Department's District 4 and District 6 - Infrasense Inc.
Infrasense developed a roadway structure database to assist the Idaho Transportation Department (ITD) in its future project planning and design efforts and to ultimately advance the condition of the roadway to an acceptable level. 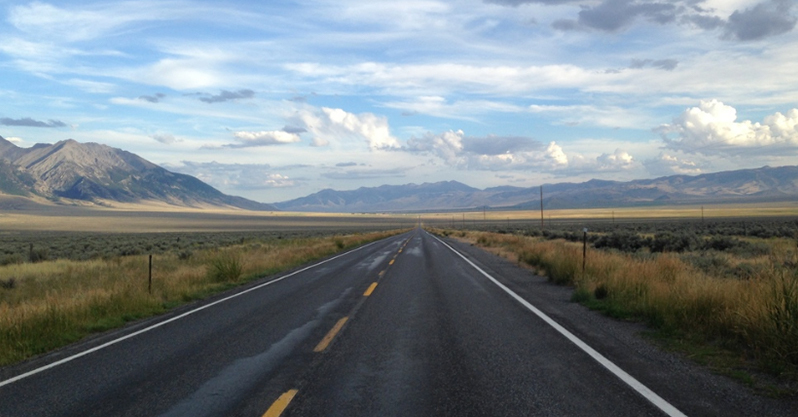 The roadway structure database covers approximately 1000 miles of state highways within ITD’s District 6 and was generated primarily with data from ground penetrating radar (GPR), Falling Weight Deflectometer (FWD), and Traffic Speed Deflectometer (TSD) testing. The non-destructive test data was complemented with data from direct boring and core sampling at 1 mile intervals. The roadway structure database includes layer thickness, layer moduli, structural number, and calculated remaining life estimates at 0.1 mile increments. This structure has been set up as a Microsoft Access database file and also as an ARCMap file database. The database structure provides ITD personnel with easy access to the data and simple and visual means to assess the data, as shown in the sample below. The pavement corridors were divided into segments based on remaining life estimates, and rehabilitation recommendations have been developed for each segment. 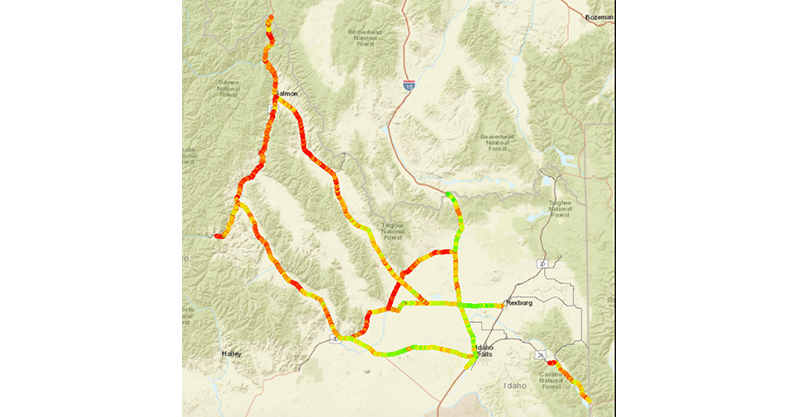 In addition to the District 6 pavement structure evaluations, Infrasense performed a condition evaluation of over 20 miles of concrete pavement on Interstate 86 in Idaho Transportation Department’s District 5 using a combination of GPR, IR, and High-Resolution Visual (HRV) data. Concrete panels with significant cracking and deterioration were identified for repair or replacement based on a set of condition criteria set forth by ITD. Stretch of pavement in Idaho scanned using GPR. 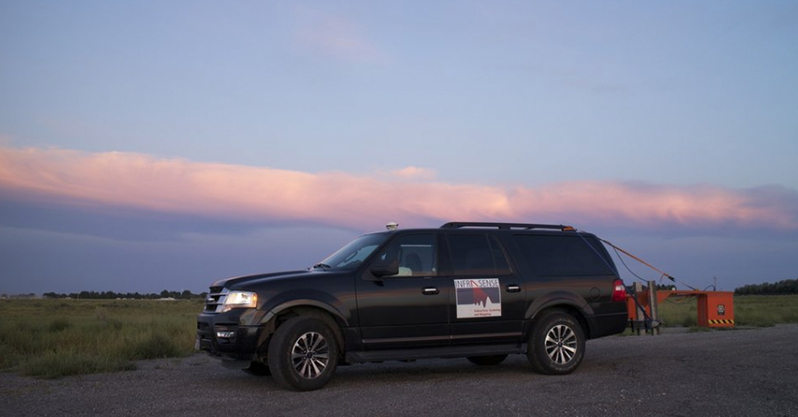 Infrasense high-speed GPR setup in Idaho. Sample GIS-based results incorporating FWD and remaining life data. 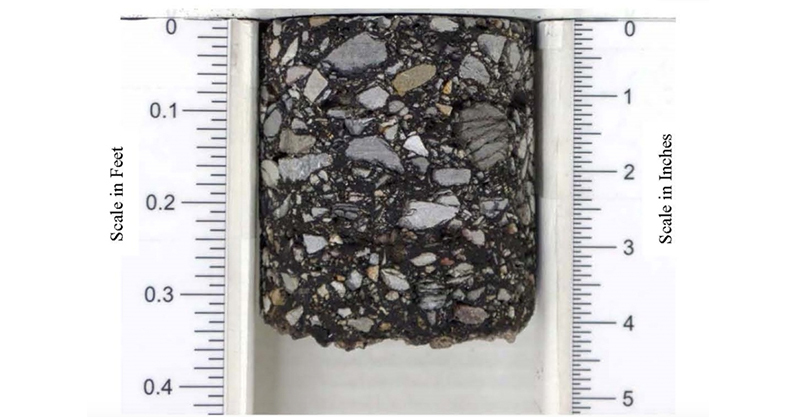 Pavement core from State Highway 22 in Idaho. 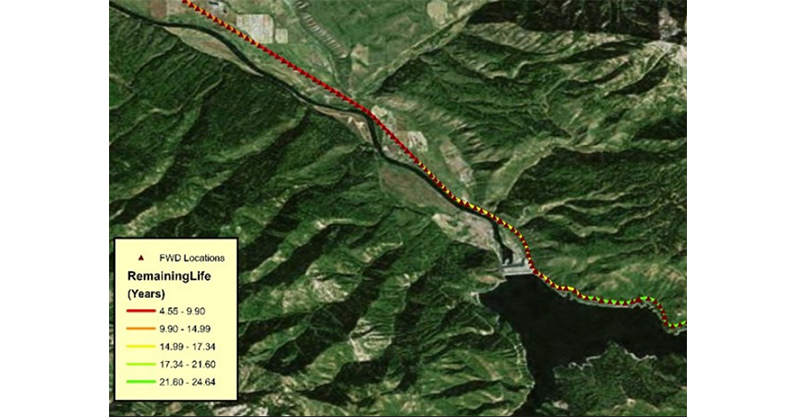 ArcGIS map showing the remaining life of pavement in Idaho.